We weren’t kidding when we said Rihanna was going to have a major year. The first week of January, Fenty Beauty launched a 50-shade concealer, the second week Savage x Fenty released a cheeky lingerie collection for Valentine’s day, and for the third week, there are rumors that Rihanna is creating her very own luxury brand. The talk started when she was spotted in New York City wearing shades that had “Fenty” clearly inscribed on the sides. WWD reported that LVMH and Rihanna have been secretly discussing the launch of a luxury house under her name. If speculations are true, this would be truly a big deal since LVMH has not created a luxury brand from the ground up since Christian Lacroix in 1987. 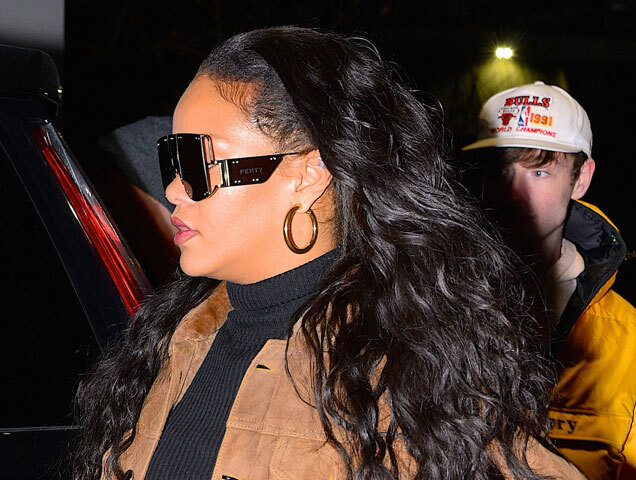 The speculations continue to grow: Hypebae points out that under the FENTY trademark filed last year, sunglasses are items protected under the name. However, some have pointed out that it may be a future collaboration, it may be a customized piece or it may be her own fashion line that’s not necessarily under LVMH. LVMH hasn’t commented and there have been no official hints from Rihanna, but it sure seems like we’ll be seeing some new Fenty branded products sometime soon. And with her history of making inclusion and diversity a priority with her Fenty x Puma collaboration, Fenty Beauty makeup line and size-inclusive Savage x Fenty lingerie, any new collection by Rihanna is sure to be a game changer.